Nothing makes better company than a good storyteller. And there’s no better way to become one than finding your passion and purpose. Let’s face it: One of the reasons why you may not be as successful in your career as you wish is because you may not have made finding your professional passion a priority. When you stop to think for a moment about what really intrigues you, what interests you, what engages you in a way that time dissolves between your fingers, what do you come up with? 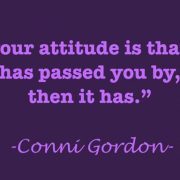 Are you involved with “that” (whatever it is) in your professional life? Or is what you do when you leave work? Many people weren’t raised with a mindset that made finding your passion a priority. 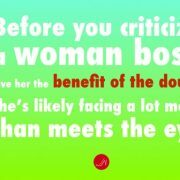 And in many areas of society and the world, women still aren’t encouraged to go down that path. We grew up with predetermined ideas of what we could and couldn’t do or what we should or shouldn’t study. Many of us got to were we are by putting one foot in front of the next: high school, college major, Master’s degree… Only the very lucky ones discovered early on what their passion was. The rest of us just got here. So if when you take stock of your life you realize that your most treasured activity happens outside of work, it’s very unlikely that your career is as successful as you wished it were. Today we talk with a woman who oozes passion from every pore of her body. That passion is tea. But before tea it was fragrances. 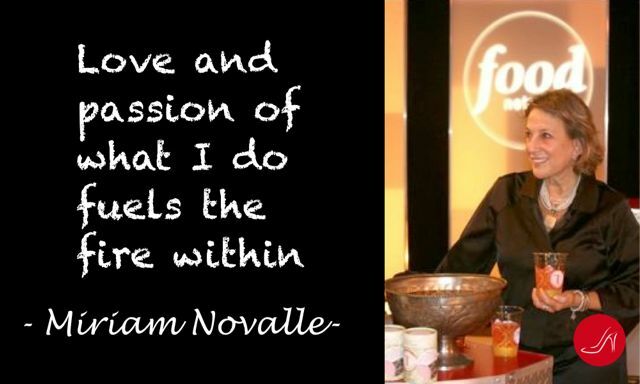 Miriam Novalle, founder of T Salon, is not only one of the most successful women in business in New York but one of the most inspiring people you’ll ever meet. 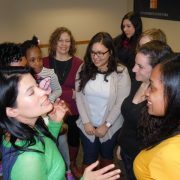 She’s a consummate storyteller, something that happens naturally when finding your passion in your career. Let’s start at the beginning. Before you founded T Salon. How did your professional career start? During the early 70’s two of my dear friends and I inherited a 400 seat movie theater in the Catskills. Out of nowhere we were selecting our favorite movies and creating concerts on the weekends, building an organic health bar and living out our fantasies, Always staying true to our passions and sharing that with our fans. I moved from the Catskills to Woodstock where I met a lady who was developing and creating essential oils. I knew then that I had found my true-hearted passion. 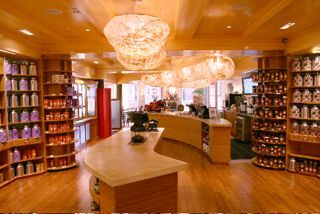 In 1975 I opened up the first “Body Shop”-style store in Woodstock NY, We blended and created fragrances out of essential oils that were sold alone and added to lotions, bubble baths and love oils. As the business grew, so did the product line to include lingerie and women’s accessories. It grew from one store to five. In 1982 I sold the concept to Sears and Roebuck. They failed at it royally because they were a self-service store and the product needed a hands-on sales team. If you’d like to read about another very successful woman in the chocolate business, don’t miss this interview with the founder of Mariebelle, one of the most iconic NYC chocolate boutiques and now a global empire! What does it mean to be “a Nose”? A nose is someone who can smell and define flowers, herbs, and barks, and understand their level of intensity. It’s someone with the ability to know how to mix and blend these smells into a successful perfume. 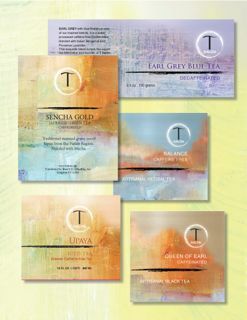 TSalon loose tea samples- Finding your passion is not a one-time thing. Your passion may change along your life. I am a self-taught “nose”. 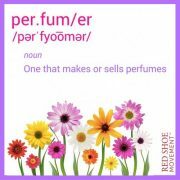 I opened my senses to the universe and developed a fine ability to create notes for fragrances and blends of perfumes. My nose was later insured by Lords of London for a million dollars because of its value to the industry. 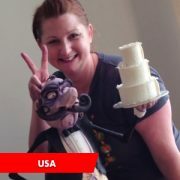 Want some additional incentives to follow your passion? Read this blog to learn how finding your passion changes everything! 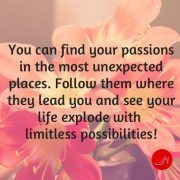 Was finding your professional passion a one time thing or did you have to look for another passion once you changed industries? I showed my work at the Royal Academy in London. I also concluded a 2 -year study in studio arts in NYC and learned to collaborate with other artists to create installations, knowledge which I would later use to design and create all my packaging for my tea business. Leverage your passion. Read the top qualities of a leader, explore this blog! What was the turning point when you decided to get into tea? My sister was about to marry a man from Liverpool England. I was going to school in Florence at the time, and went to meet her new family and about to be husband. We had something that I’d heard of but had never been treated to personally, “Afternoon Tea.” What a delight of tastes and smells and tea. Wow. We had scones, Devon cream, jams, and small tea sandwiches, along with tea. Except that the tea was an awful, dark water with loads of sugar and milk. I then realized where to put my nose and my palette of colors: into the tea biz! 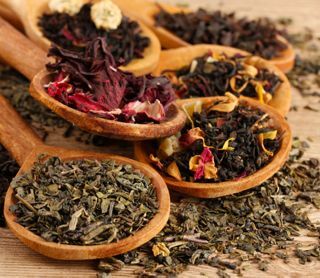 How did your experience in the fragrance industry help you in the tea business? I was blessed and honored to partner with Herb Albert of A&M. He wanted to create a personalized perfume. I would put up my nose and he would fund it. We became partners and we launched a successful, first ever, celebrity perfume called “Listen.” What an amazing ride. I learned that notes of fragrance were similar to notes of tea. Both fill the senses. Fragrances to me are on the emotional side, they have a memory of someone that you once loved, someone that you met in a fleeting moment, and the only thing you can recall is that fragrance whiffing by, or that pillow the next morning… Tea to me has the same memory, it’s the morning after, it’s the sitting in that quiet place with yourself or someone else. It is as ancient as the fragrance industry. Tea is thousands of years old. It was drunk by the old Tibetan teachers, and Buddhist monks in order to achieve wonderfully long and silent meditations. I think they both have historical value. We are steeped in history with both products. 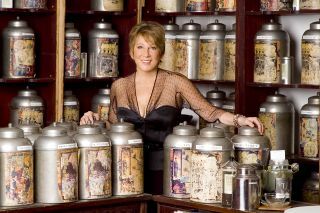 You went from having the largest tea salon in the world to having no stores. Were these adjustments you made in order to continue finding your passion and purpose? “Adjustment” is an understatement. It was a true internal ride to avoid falling into the depths of depression when you think that you have failed and wonder where did you go wrong. It was a process to realize that you have the ability to manifest what you believe in is a great product, but in a different format. To give others the ability to communicate your passion in a different viral way through social networking, newsletters, blogs, mentoring, through your website, through creating pop-up stores, through other stores carrying your product, through hotels serving them in their lounges, restaurants and spas. Do you ever get bored? How do you continue to fuel your passion? If you manage Millennials, here's a great piece on how to leverage their enthusiasm and passion! 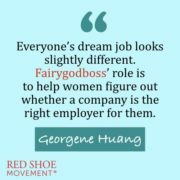 Are there any gender advantages that successful women in business share? Internal intuition!!!! 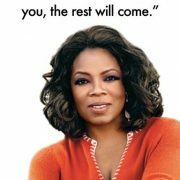 Vibrationally, women of the past and women of the future speak the same language. We could do anything we put our hearts into… We have big hearts and we are the elders who share our wisdom with the younger generation, and we rock! You are very interested in health and sustainability. Tell us about some of the initiatives you’re involved with. Do we have all afternoon? I’m on the board of The American Sustainable Business Council. We go to the White House to speak to men up on the hill on sustainability, on women in business, on making a difference for the next generation. I’m involved with Urban Zen created by Donna Karan. Bringing yoga and tea to hospitals, wellness centers, and educating the health practitioners to understand there are many ways of healing the body and mind, and tea is big factor. You’ve had and continue to have a fascinating life. Do you find the stories or do the stories find you? Both. I think when you’re truly in your skin your life becomes a story. Thank you for sharing with me Miriam I will be in touch. How finding your passion changes everything How engaging men in your career will take you to the next level!